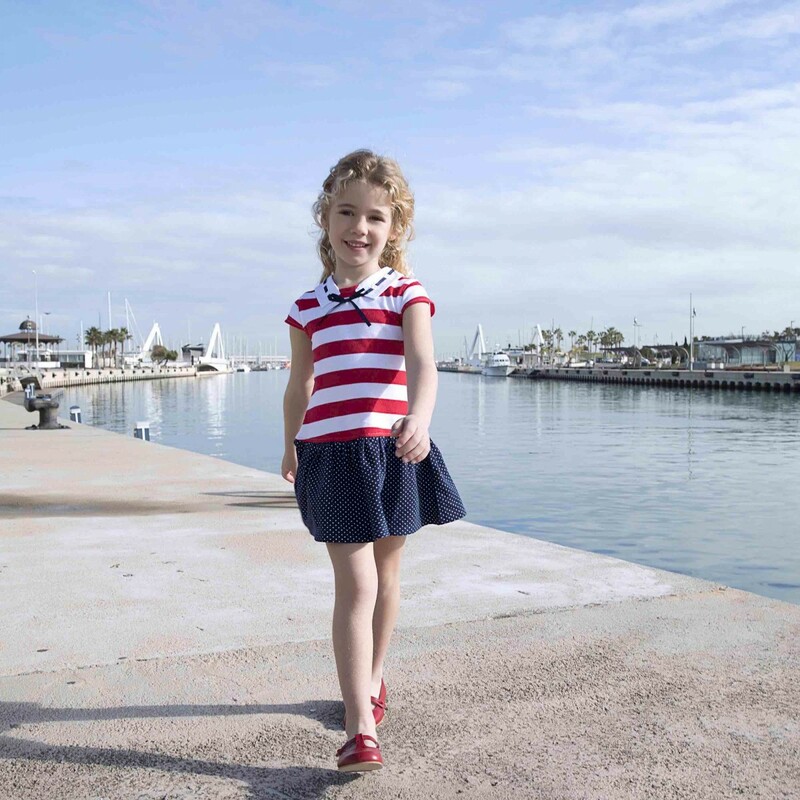 Short sleeve navy striped petit piqué dress. Contrasted ribbon detail in the neckline with a bow. Semi open in the back with buttons.